4WD trip through Death Valley, Butte Valley to Panamint Valley and to Marble Wash. 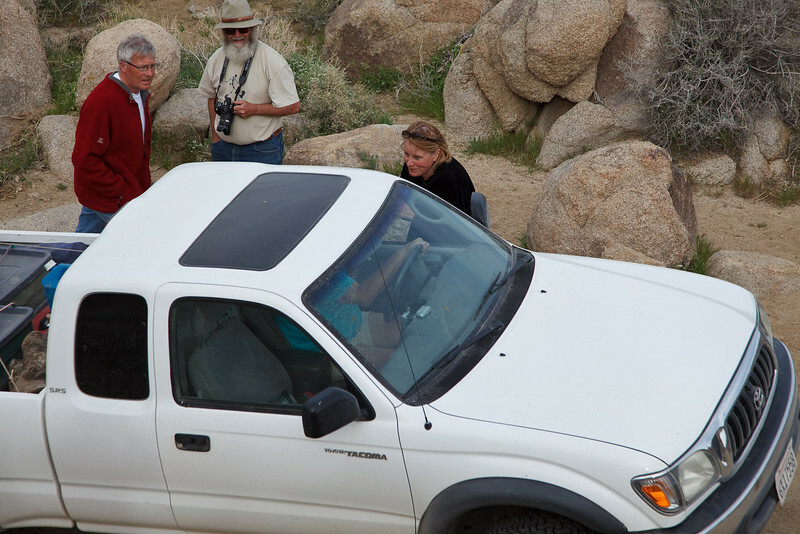 The man in red and woman in black were worried about getting their Chevy Tahoe through the rocks and asked Bill if he would drive it up. He declined, but we did help construct rock ramps and guide them up, with limited success. Eventually, Bill broke out his ropes and pulled them up the last bit.